This beautiful abundant bouquet of soft pink roses and pink alstroemeria in a glass vase is a great way to make anyone feel special. This thoughtful arrangement is suitable for any occasion and is a heartfelt choice even at funerals thanks to its soothing colors. 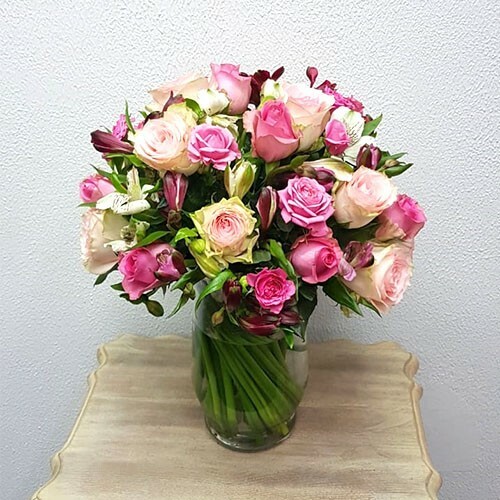 Quantities 20 pink roses with alstroemerias, and a glass vase.